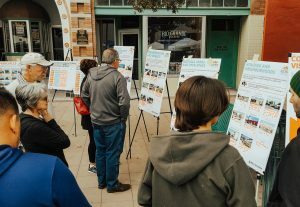 From November 7 – 10, 2018, a series of public input meetings were held to provide an overview of the plan process and seek feedback from residents, property owners, and business owners about community vision and goals. 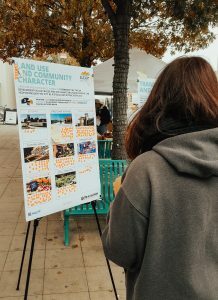 Three public workshops were held and an informational booth was located at the Farmers and Craft Market in downtown Las Cruces. There was also an overview presentation held at various times throughout the public workshop. This presentation can be viewed here. A survey station was also made available for meeting attendees who had not already participated in the community survey. Online community survey results are forthcoming. Additional public input opportunities will occur throughout 2019.